Powdered, with a skintight elastic fit. 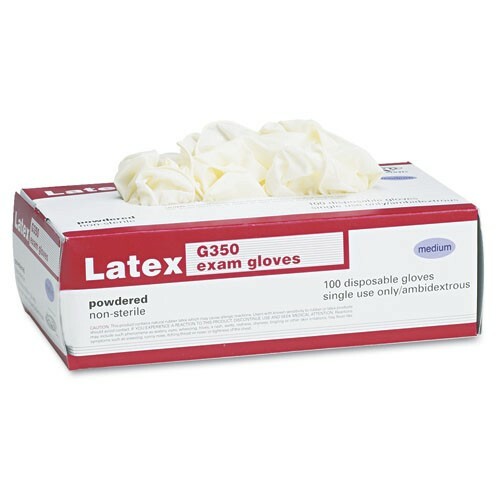 Provides excellent dexterity for medical, dental and lab applications. Medical grade. Meets FDA 510K requirements. FDA/USDA Accepted. Fits either hand. Rolled cuff and powdered for easy on/off. Natural color, non-sterile. 4 mils thick. 100 gloves per dispenser.